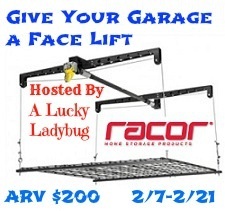 I would like to win this for my husband, he just retired the end of Jan. and would love to use this to organize his garage. I would have used this for myself, and still might. Since I would love to have the many things in the garage off the floor in order to have more room for the lids toys. it's almost sprig - the perfect time to install this & get organized!